Devices displays a list of your connected and offline clients. You will be able to identify the devices, check how many are connected, verify the wireless settings, and connect Wi-Fi Protected Setup™ (WPS) compatible devices to the network. This option displays the devices that are connected and not connected to the router. It also allows you to edit the device name. The steps below will guide you on how to do this. On your mobile device, tap the Linksys app. Log in to your Linksys cloud account. For step-by-step instructions, click here. On the Dashboard, tap the Menu icon across the top left-hand side of the screen. 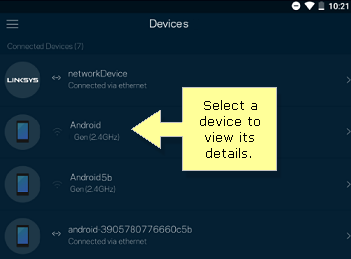 Under Connected Devices, select a device to view its details. NOTE: Devices that were previously connected but are currently not in the Offline Devices section are found at the bottom of the page. 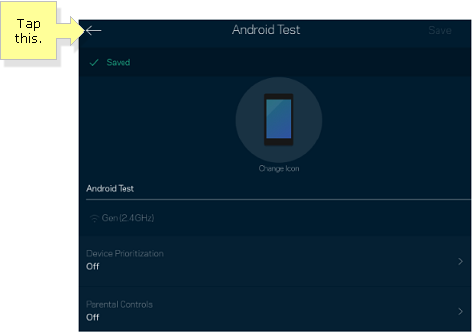 The Android device is selected in the example below. 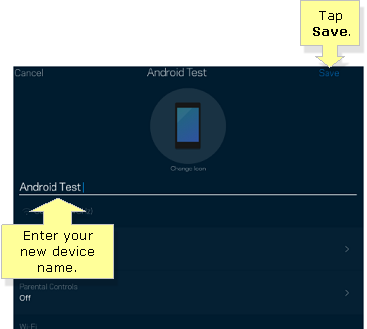 To update the name of the client, tap on the current device name and enter a new name. Then, tap Save. This option will allow you to identify the devices currently connected to your router. You can rename the devices any name you want such as Kitchen Computer or John’s Work Laptop. The new device name will be displayed. 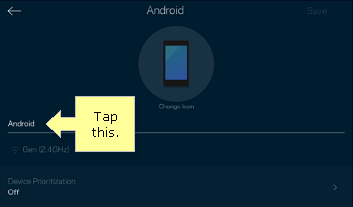 Tap the arrow to go back to the Devices. NOTE: To edit another device, repeat the procedure from Step 5. The new name is now displayed under the Devices.